Carlos Condit contemplated on making it the end of his career, having lost to Robbie Lawler at the beginning of the year. Now it appears that he may be even closer to hanging up his four-ounce gloves for good. 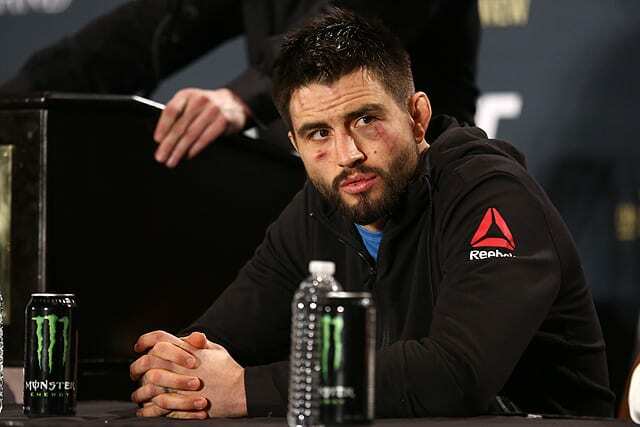 One bout removed him from very nearly claiming welterweight gold, Condit returned to the Octagon at UFC on Fox 21 in Vancouver with a chance to jump right back into the welterweight title picture. Nevertheless, the evening did not go as planned, as “The Natural Born Killer” was overwhelmed by the grappling of Demian Maia and tapped to a rear-naked choke 1:52 into the first round of their main event clash.